Without an ample supply of the “master antioxidant” glutathione, the human body will be exposed to the damages of oxidative stress. Oradix Reduced Glutathione 1.5 Suppositories provide a convenient and potent alternative to oral and IV intake. Suppositories can be shipped with ice to ensure preservation of shape and potency. Earn up to 186 DR Reward Points. Without an ample supply of the “master antioxidant” glutathione your body will be exposed to the damages of oxidative stress. 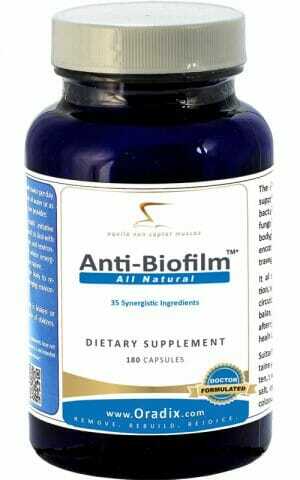 Supplementing for glutathione requires that the molecules are able to be absorbed into the bloodstream. Oral intake tends to be ineffective while IV injections can be expensive and inconvenient. Oradix Reduced Glutathione 1.5 Suppositories provide a convenient and potent alternative. Strong dose (1,500 mg) of potent reduced glutathione. 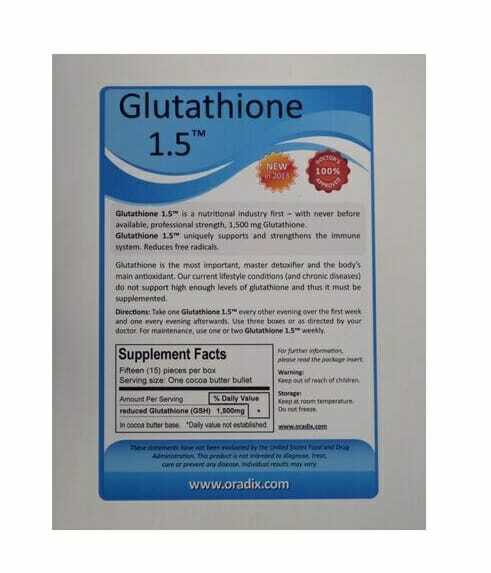 Oradix Glutathione 0.5 is also available for a more moderate dosage. 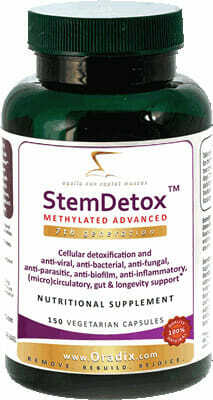 Supports the function of multiple bodily systems and the natural detoxifying capabilities of the liver. 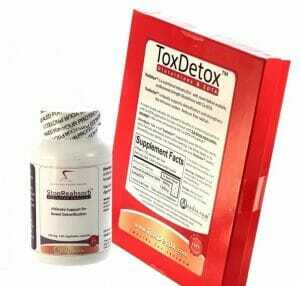 Antioxidant properties help the body balance out the damage caused by oxidative stress. Reduced glutathione suppository intake improves absorption rates significantly compared to oral intake. 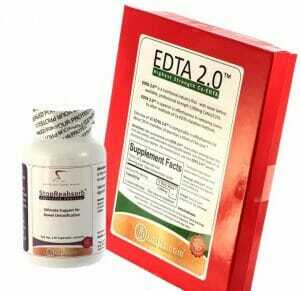 Glutathione is one of the most important antioxidants in the body. Its positive impact is felt across numerous bodily systems ranging from the immune system to the digestive system to the cardiovascular system. As an antioxidant, Glutathione is particularly important for relieving oxidative stress and supporting the function of the liver, thus improving the body’s natural detoxification abilities. The primary role of glutathione, as with other antioxidants, is to facilitate the neutralization of free radicals, thereby reducing accumulations of oxidative stress. 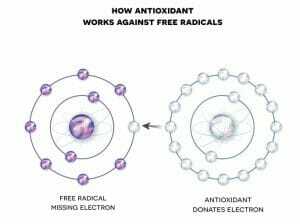 Free radicals are atoms in the body which contain an unpaired electron. If left unchecked these atoms will find a pair for their unpaired electron by stealing one from other molecules in the body, starting off a chain reaction of damage and imbalance to fats, proteins and cell membrane alike. This cellular imbalance is referred to as oxidative stress and it is thought by many health experts to be a significant factor in a number of dangerous health concerns, as well as the aging process itself. Antioxidants are uniquely capable of pairing with unbalanced free radicals without becoming significantly damaged or unbalanced themselves, thus neutralizing the threat of continued oxidative stress.1 When quantities of free radicals exceed those of crucial antioxidants like glutathione, more and more cells will become contaminated and oxidized. Because glutathione is such a valuable resource for the body, the only trouble is determining how to get enough of it absorbed into the bloodstream where it will be most effective. Oral intake tends to be the least effective method because it has to pass through the digestive system where it is degraded by stomach acid. Some forms of oral intake yield impressive absorption rates, but even the best will pale in comparison to the absorption rates of glutathione suppositories.